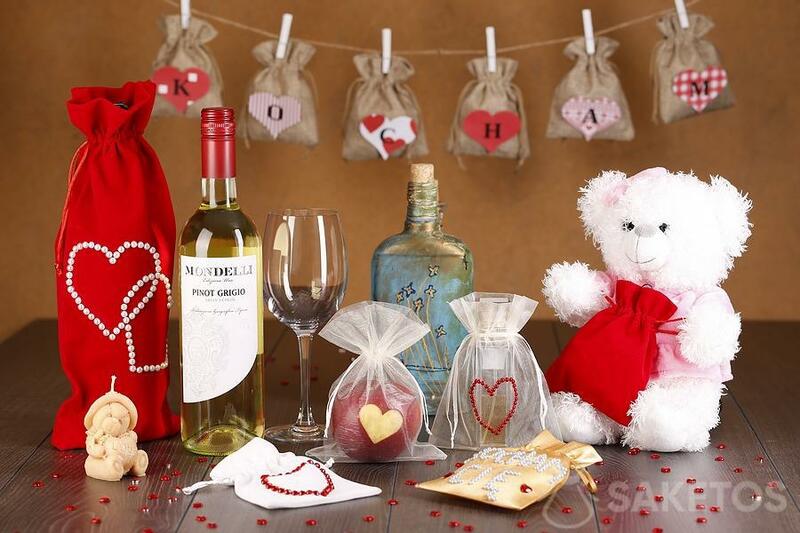 Valentines Day Gift - Pack it in a unique way. 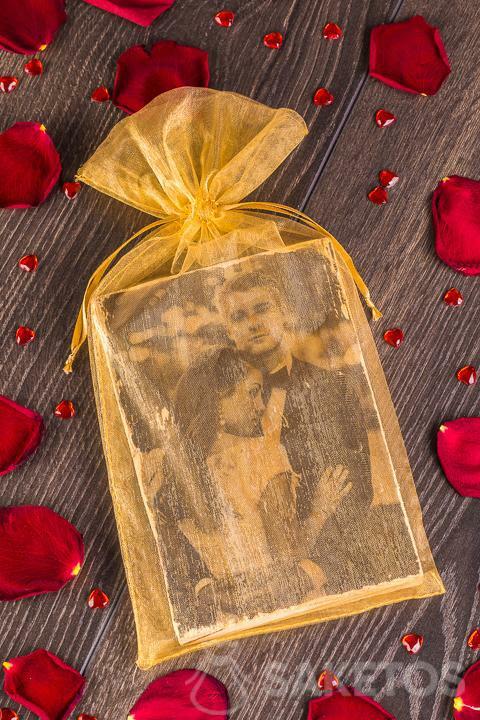 It is quite obvious that gifts made personally have a higher sentimental value. Things are very similar with packaging of a gift. 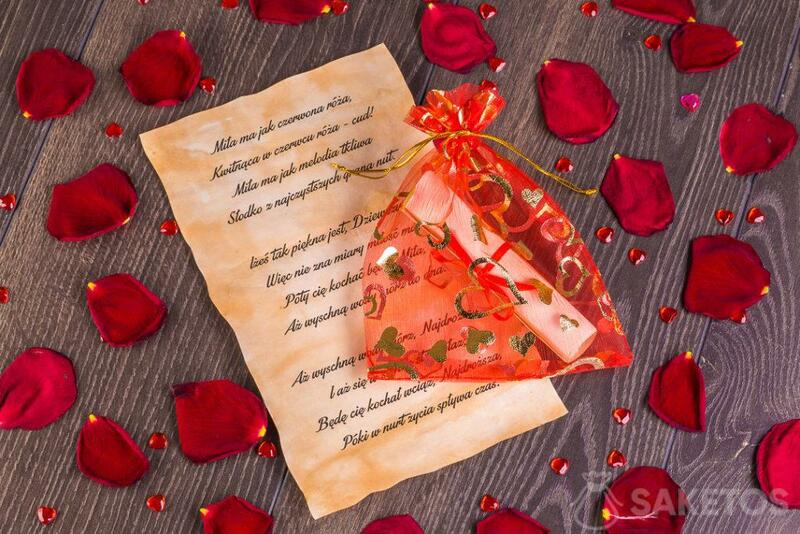 Therefore gift for Valentines Day made by yourself heighten the curiosity about their content. All you have to do is to decorate a pouch with beads, jets or a ribbon to gain a unique character. 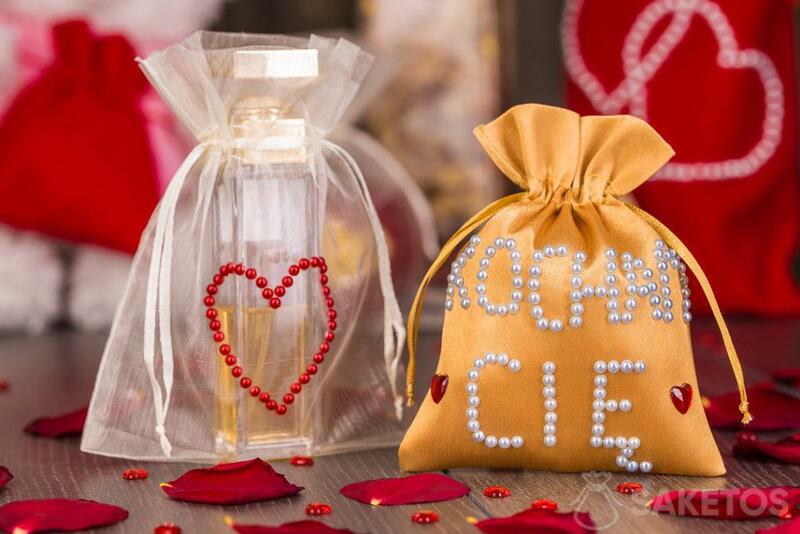 In the picture above – a perfume of 13 cm in an organza bag with 12 x 15 cm and a satin pouch of 10 x 13 cm decorated with self-adhesive half-pearls. 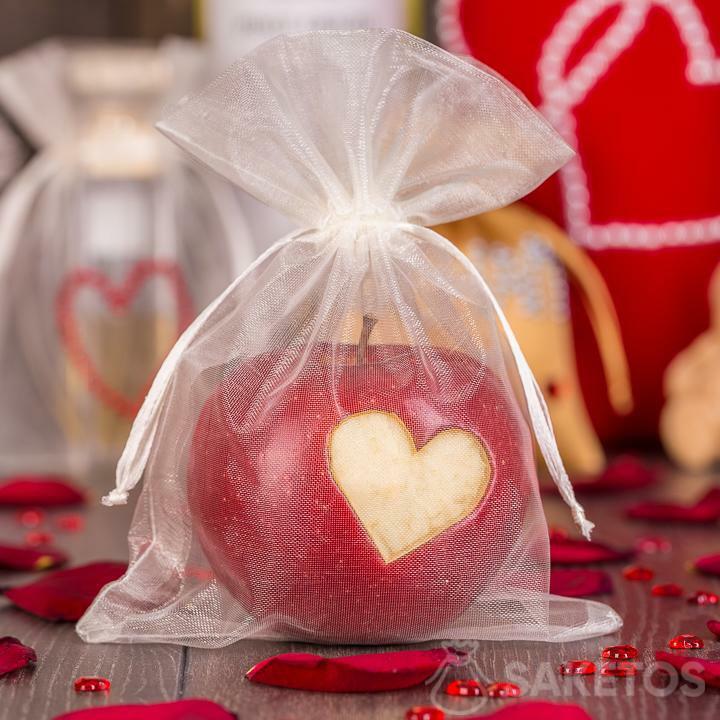 If you do not have enough skills to make such an individual package, you can use our standard pouches like velvet, satin or organza bags in any size. 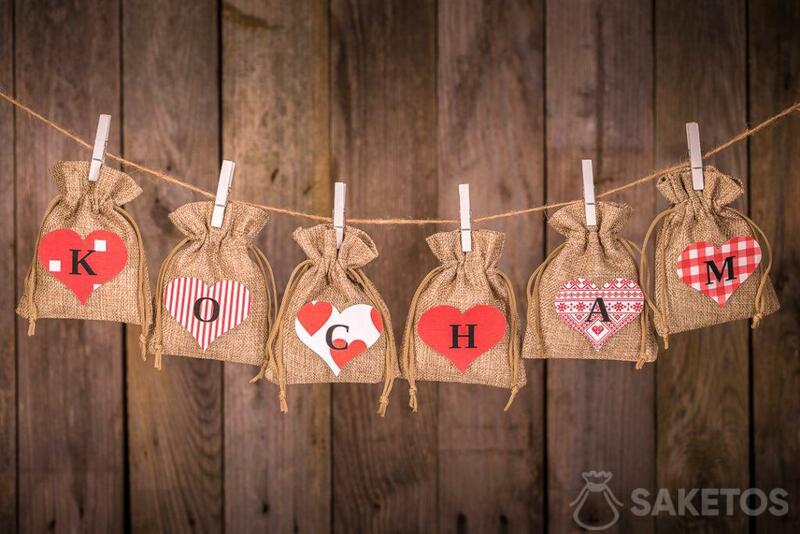 For example, as in the picture above, you can stick printed hearts with letters on our pouches – creating an inscription with a confession or the name of the loved one. Hence a unique, personalized design will surely capture his or her heart. People who for some reason cannot or do not want to decorate their pouches, have a whole range of other possibilities. They can make a gift for a beloved person in a unique and effective way. This method will definitely vary from other ordinary paper bags. A practical solution here are ready-made decorative pouches. That is why romantic satin, velour or delicate organza pouches will work perfectly. Such pouches can be bought in our online store and adapted to the gift. Our smallest pouches are perfect for packing jewellery. In addition medium bags are great for perfumes, cosmetics and sweets, while in the largest bags you can place a sizable mascot. Pouches made of delicate fabrics are best suited for a Valentine’s gift. Organza bag in a single hue or with a subtle print seems very magical. It looks very delicate and moody – especially in red colour! For such a pouch, it is enough to put only tasty chocolates or a frame with a photograph. 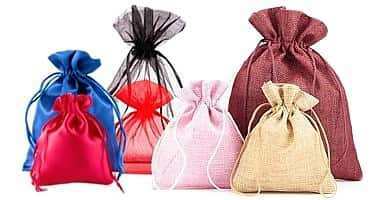 In turn, satin pouches are ideally suited for packaging of romantic lingerie, jewellery or good perfumes. Satin is a delicate, sensual fabric which is very pleasant to touch. In previous years, satin was the determinant of luxury. Only wealthy people could afford such exclusive material. 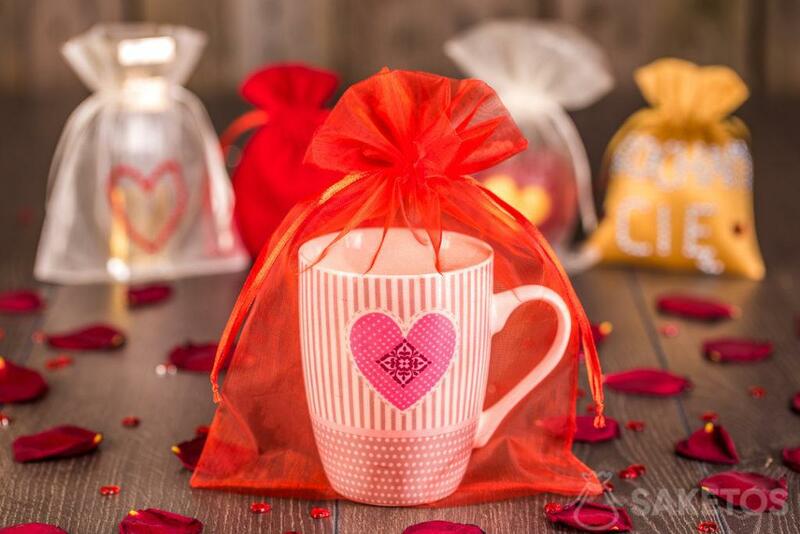 Therefore, a person who gets such a wrapped gift will feel appreciated and honoured..
An ingenious Valentine’s gift does not have to be expensive, but it should have a high emotional value. Our commitment to the relationship witness about the strength of deep feelings demonstrated by small gestures. 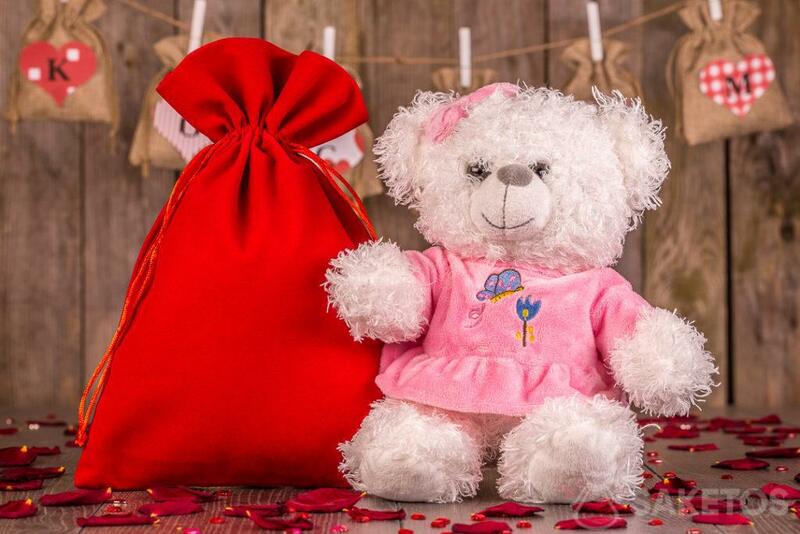 This requires a good knowledge of your partner and selection of the right gift and its careful packaging. In this area, we should not go on the easy way! 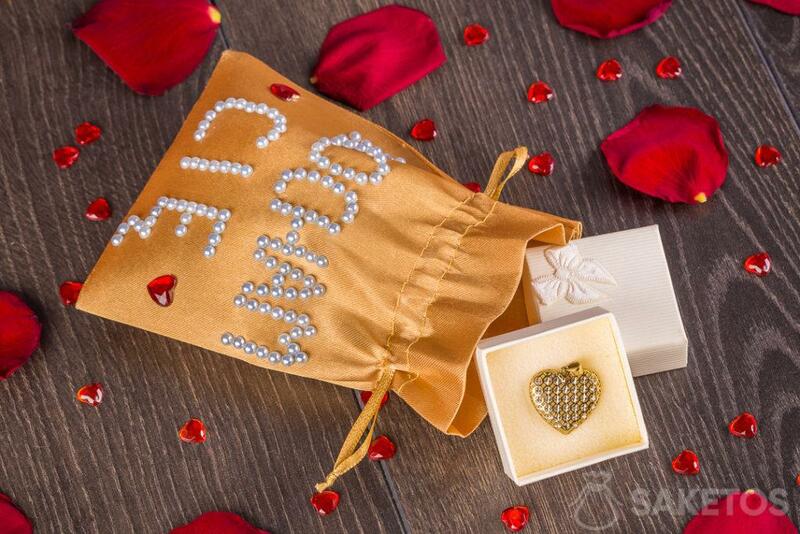 On the contrary – let’s try to make the gift for Valentine’s Day well thought out and fine-tuned to the last detail. 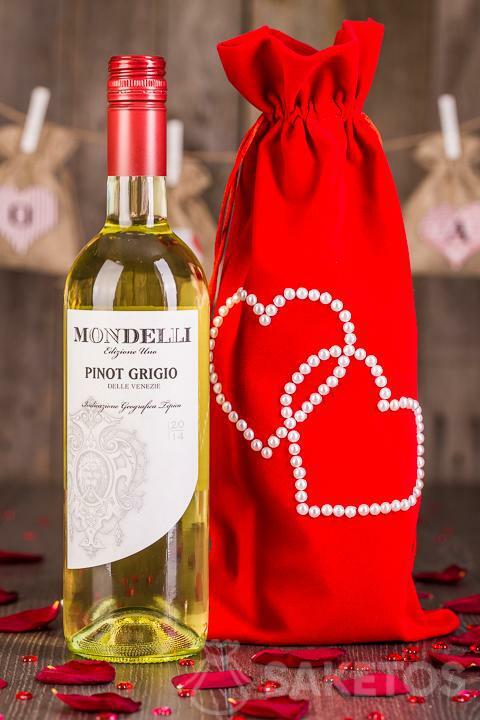 It will also be a great idea to put a bottle of wine in a decorative pouch. You can also attach to it a romantic card or a letter with a love confession. Thus the contribution of work in its implementation will be the best proof of feelings and your deep commitment for the beloved one.